Model #: APC4024NC Click to view the whole line. This 4000 watt 24 volt to 120 Volt pure sine wave inverter and converter is a combination of power inverter, battery charger and AC auto-transfer switch with a peak DC to AC conversion efficiency of 88%. 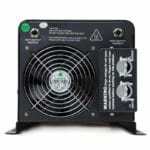 This Sigineer Power 4000 watt inverter and converter changes 24 Volt to 120Vac Pure Sine Wave output. It is an inverter that converts 24V DC (direct current) power into 120V AC (alternating current) electricity to power tools and appliances. A built-in 40 amp transfer switch will automatically switch between shore power and battery-bank power within 10 mili seconds. A 60 amp multi stage battery charger uses AC power from the grid or from a generator to recharge a battery bank. 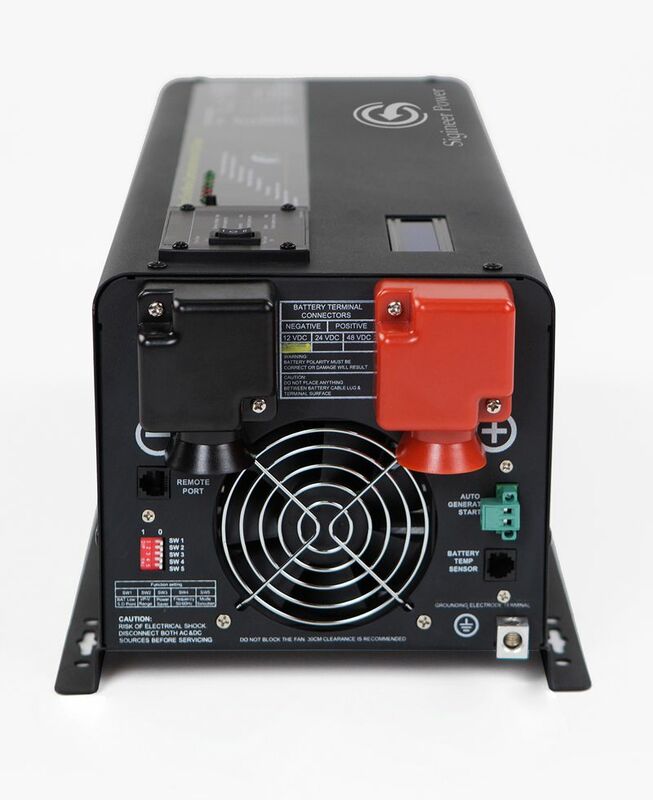 The battery-type selector on the top of the 4000 watt inverter and converter allows the ability to adjust the charging voltage to the battery bank. 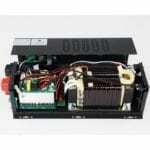 This 4KW 24V inverter and converter is built tough and ready to operate to its fullest extent. This unit is available in 12 volt and 48 volt versions, available for 12 volt or 48 volt battery bank or off-grid system. Inside of this 4000 watt 24 volt inverter charger are heavy duty transformers producing the clean pure sine wave power of low THD. It is able to handle spikes from unstable power supplies in countries with unreliable power system. With a frequency switch, this inverter can be used in countries with a 50hz 120v ac system or 60hz 120v systems. Perfect for Caribbean Island nations and American RV, boat or home. The reliable transfer switch boasts an average 10 millisecond transfer time , working actually as a uninterpretable power supply with battery backup system. This inverter is a match set with any existing battery and generator system, as it is capable of accepting an AC power from generator to charge the batteries and starts the generator when battery voltage drops low. There is a hard-point 3-wire AC output terminal capable of taking the massive 300% surge rating from the 4000 watt inverter all at once. The 12000 w surge rating lasts for 20 seconds, offering ample power for applications such as water pumps, microwaves or any other tough appliances you might throw at it. • No interference with equipments like TV, radio, etc. • Built-in LCD Remote Controller Port.